After receiving a master’s in library service at Columbia University in 1960, Rachael Anderson took her first library position at the College of the City of New York as cataloger. In 1964, she moved to the Mount Sinai School of Medicine and Medical Center Library. She went on to serve as director of three academic health sciences libraries: Mount Sinai (1974-1979), Columbia University (1979-1991), and University of Arizona (1991-2001). While at Columbia she also served as acting vice president and university librarian for seven months in 1982-1983. She retired in 2001. “I had never considered myself originally to be [an outspoken person] at all.” Yet she turned out to be one who called attention to “sensitive professional issues.” Rachael was responsible for “getting Dorothy Hill’s name onto the Brandon list,” recognizing Dorothy Hill’s years of contributions when it was renamed the Brandon/Hill list. She and Dorothy worked together on the first survey of women in administration of biomedical libraries in 1972 and did a follow-up study five years later, examining the number of women directors and the number of opportunities, especially in a period of rapid growth in medical libraries and equal opportunity legislation. They found a “disturbing trend” that three-quarters of directors were men in a predominantly female workforce and that women with more experience were not getting top jobs even though there was a need for quality leadership. They published their data, and Rachael presented at a plenary session at the 1976 Minneapolis Medical Library Association Annual Meeting “with a great deal of trepidation” but was amazed by the standing ovation and the feedback. It became evident that this was an issue that really had been stewed over by a lot of people who were not willing to come out and say anything, but they really showed and voiced their appreciation for our having done the research and for articulating it and bringing the issue out of the shadows and into the open. Rachael’s move to Arizona gave her the chance to work in a public institution and to implement outreach as the only medical school in the state. Her vision for the Arizona Health Information Network (AZHIN) provided access to electronic information to members—teaching hospitals, hospitals in small communities, Indian Health Service hospitals, and telemedicine sites. “Within a couple of years, the organization would be self-supporting,” and, by the time she retired, it had about 30 members. [T]hey were really different cultures at the three institutions [Mount Sinai, Columbia, and Arizona] but I also changed. I matured, I became more adept…. [T]hat makes a difference in terms of dealing with staff and of how other people in the institution deal with you in terms of your credibility. Over the years I learned the importance of dealing collegially with people in the institution and what the role of library director is in interfacing and establishing those connections throughout the institutional community and… in the community at large. In MLA, she chaired the Janet Doe Lectureship Jury, the Brodman Award Jury, the National Program Committee, the Nominating Committee, the Recruitment Committee, and the Committee on the Status and Economic Interests of Health Sciences Library Personnel. She was a member of the task forces that developed "Challenge to Action" and "Platform for Change." She served on the MLA Board of Directors in 1983-1986 and as president in 1997-1998. The MLA centennial was a highlight of her presidential year, “because I saw that as an opportunity to call attention to the role of the medical librarian” and the connection of librarians to health information. Rachael was also active in the New York-New Jersey Chapter, serving as chapter chair in 1978-1979. 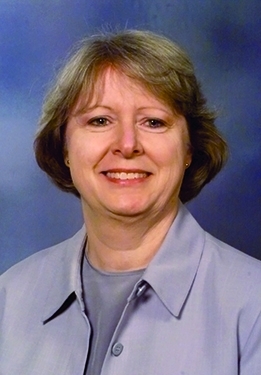 She was president of the Association of Health Sciences Library Directors in 1991-1992 and chaired its Committee to Review Accreditation Program for Medical School Libraries. She was also active in the American Medical Informatics Association. Her Janet Doe lecture in 1989, “Reinventing the Medical Librarian,” drew on her ideas about the kind of people the profession needed to recruit and the evolution and future of the workforce. Her research also brought to light the “embarrassment about the race issue,” and the reluctance of early MLA leaders to admit black medical schools as members. The lecture “provided exposure beyond medical libraries” when it was selected for an anthology of library literature. 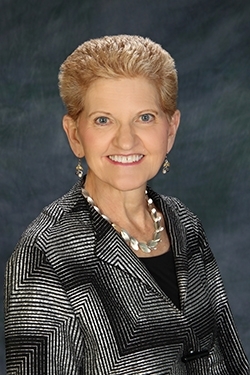 Rachael worked with the National Library of Medicine in several capacities, She was a member of the Board of Regents 1990-1994, board chair from 1993-1994, and chair of the board's Subcommittee on Extramural Programs. She was also chair of the Biomedical Library Review Committee (1987-1988) and chair of the Special Review Committee for Health Sciences Education and Training. The BLRC was “my continuing education… it was an enormous learning experience, in terms of what was happening in libraries in information technology… and to develop relationships with people who were leaders in medical informatics.” She made presentations and published on topics such as consumer health, telemedicine, health sciences education, IAIMS, digital libraries, and strategic planning, in addition to the status of women in library administration. 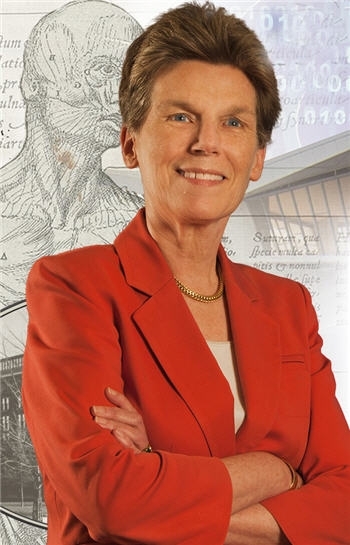 Rachael was honored with election as a fellow of the Medical Library Association in 1995, and also as a fellow of the American College of Medical Informatics in 1993 and the New York Academy of Medicine in 1990. In 2000, she received the Noyes Award, MLA’s highest honor.